Newsletter #3) The POWER of FLOWERS & SNEAK PEEK at Latest Studio Experiment(s)! Newsletter #4) The Bluebird of Happiness in the Studio & Every Challenge Offers a Gift - Can YOU find the Hidden Images? Newsletter #5) FAITH and CALIFORNIA HERE I COME! Newsletter #6) Escape to Beautiful Underwater World and Enjoy HOPE! Most of the images available as prints are printed as a Giclee print on canvas. These are reproductions of the original artwork of a very high quality that is approved for color and quality by the artist. Mercedes does have one image available as a Serigraph - "Animal Kingdom". In the tradition of the old masters, the production of a Serigraph requires a painstaking process of color separation. In the case of "Animal Kingdom" the process required 6 months and over 160 individual screens to duplicate the complex image of the original work. Direct purchases can also be made through this website. If pricing is not displayed, contact one of the galleries above or info@MercedesFineArt.com or call 760-420-6618. MercedesFineArt ETSY Shop: The 'Inspirational Reminders', Cards and Prints, and first mugs pillows are also available in the new MercedesFineArt ETSY Shop! 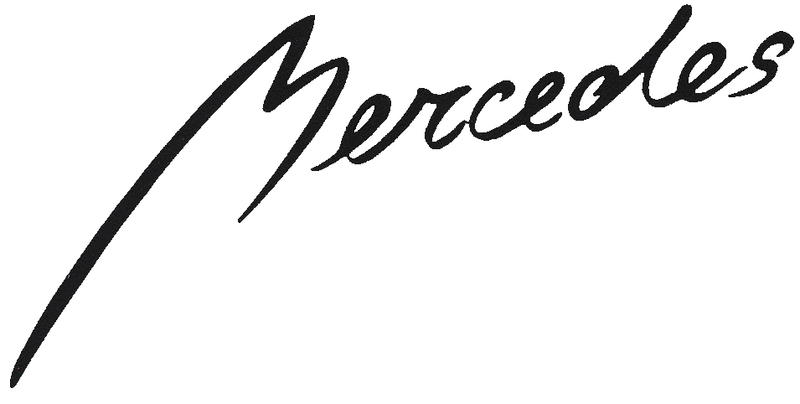 Mercedes Fine Art will accept personal and corporate checks, most all major credit cards and online purchases are made through a secure server though PayPal. We will provide full service packing of artwork and shipping. For artworks available for purchase on line, costs for shipping are added to the cost at checkout. These costs are estimated per a range of sizes and weights and may not be the exact cost. Every effort is made to generously share in the packing and shipping costs with the purchaser. Very large works will require special attention to shipping and delivery and best to contact us for a quote on getting that artwork to you. In the available options for shipping time at check out, we have put 1-7 weeks. Know that more specific explanations as to shipping time are given in the 'description' areas of the artwork and vary widely as explained. Example - a hand embellished print must be printed, given approval for color and quality by the artist and then worked on by the artist with ample drying prior to shipping. We are happy to keep you updated on the process of your purchase. All artwork by Mercedes comes with a 100% satisfaction guarantee. Once a piece is delivered to you, you will have 7 days to examine it. If you wish to return the art, you may do so for a full refund of the purchase price. Please note shipping fees charged are non-refundable, and you are responsible for the return shipment of artwork. If the item is not returned in its original condition, the buyer is responsible for any loss of value.